something special in it. 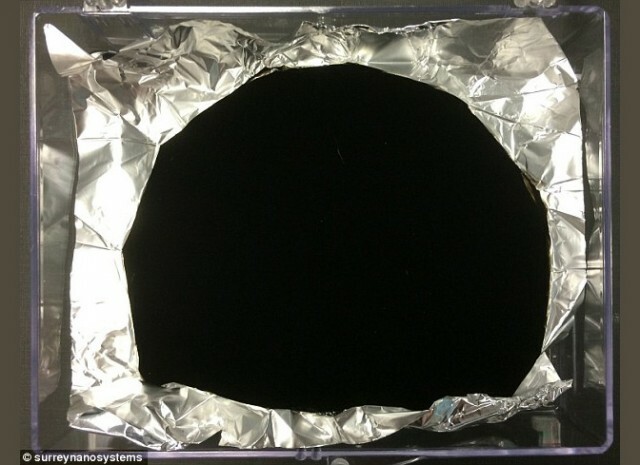 Now black, that most enigmatic of colours, has become even darker and more mysterious.A British company has produced a "strange, alien" material so black that it absorbs all but 0.035 per cent of visual light, setting a new world record. To stare at the "super black" coating made of carbon nanotubes – each 10,000 times thinner than a human hair – is an odd experience. It is so dark that the human eye cannot understand what it is seeing. Shapes and contours are lost, leaving nothing but an apparent abyss. If it was used to make one of Chanel's little black dresses, the wearer's head and limbs might appear to float incorporeally around a dress-shaped hole. Actual applications are more serious, enabling astronomical cameras, telescopes and infrared scanning systems to function more effectively. Then there are the military uses that the material's maker, Surrey NanoSystems, is not allowed to discuss. The nanotube material, named Vantablack, has been grown on sheets of aluminium foil by the Newhaven-based company. While the sheets may be crumpled into miniature hills and valleys, this landscape disappears on areas covered by it. "You expect to see the hills and all you can see … it's like black, like a hole, like there's nothing there. It just looks so strange," said Ben Jensen, the firm's chief technical officer. Asked about the prospect of a little black dress, he said it would be "very expensive" – the cost of the material is one of the things he was unable to reveal. "You would lose all features of the dress. It would just be something black passing through," he said. Vantablack, which was described in the journal Optics Express and will be launched at the Farnborough International Airshow this week, works by packing together a field of nanotubes, like incredibly thin drinking straws. These are so tiny that light particles cannot get into them, although they can pass into the gaps between. Once there, however, all but a tiny remnant of the light bounces around until it is absorbed. Vantablack's practical uses include calibrating cameras used to take photographs of the oldest objects in the universe. This has to be done by pointing the camera at something as black as possible. It also has "virtually undetectable levels of outgassing and particle fallout", which can contaminate the most sensitive imaging systems. The material conducts heat seven and a half times more effectively than copper and has 10 times the tensile strength of steel. Stephen Westland, professor of colour science and technology at Leeds University, said traditional black was actually a colour of light and scientists were now pushing it to something out of this world. "Many people think black is the absence of light. I totally disagree with that. Unless you are looking at a black hole, nobody has actually seen something which has no light," he said. 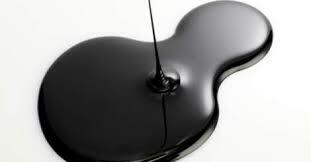 "These new materials, they are pretty much as black as we can get, almost as close to a black hole as we could imagine.